A man has been arrested for a serious assault in a rugby club’s car park. 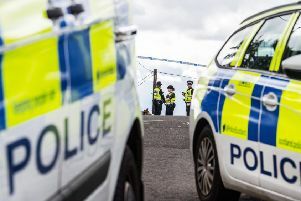 David Gibson (38) of Bo’ness appeared in court on Tuesday charged with assault to severe injury, assault, threatening or abusive behaviour and vandalism after a 25-year-old man was attacked in Linlithgow Rugby Club’s car park off Mains Road on Saturday night. The man was taken to Forth Valley Hospital with serious facial injuries. Mr Gibson made no plea or declaration at Livingston Sheriff Court on Tuesday and was given bail pending a second court hearing.